Quilted Mosaic by Etc by Danyale. Brads from an old kit of my own. the different perspectives in your photos are a perfect match for the choice of page to lift with the tilt/angles. i love this Angela. cute photos too! Great page. Love the tilt of the photos and papers. 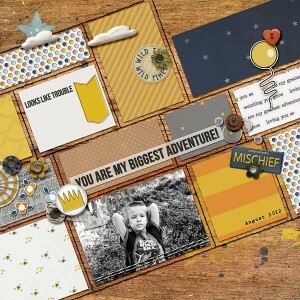 Fun scraplift! !